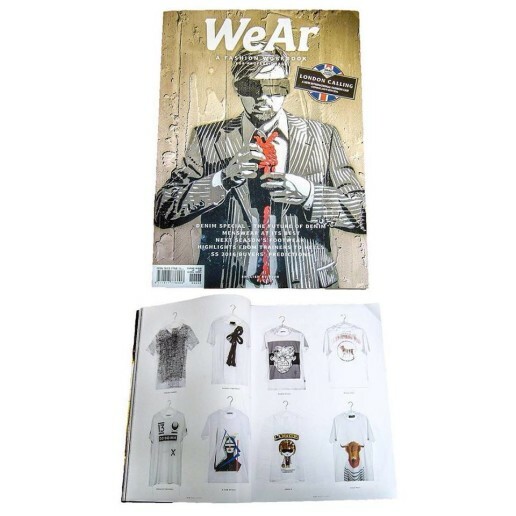 WeAr Global Magazine is couture meets leisurewear: a symbiosis of art and fashion. WeAr is focused on visual information instead of long-winded texts. We also focus on facts instead of personal opinions. WeAr offers incredible collections, stores and market news worldwide. Editorial content fashion, shoes and accessories for the high-end segment. WeAr content: shops and trend reports from the world´s major cities and trade fairs, supplemented with news, research, contacts, interviews, business talk and retail tips. WeAr is distributed globally and is available in 8 languages! English, German, Italian, French, Spanish, Japanese, Chinese, Russian. WeAr is only focused on the very best.